Have you guys noticed that edible flowers seem to be popping up everywhere lately? We were a little skeptical when our Pinterest feed first started to fill with petals prettily adorning everything from cakes and cookies to popsicles and ice cream. But when we saw a recipe for edible flower pizza, our minds were just blown wide open. 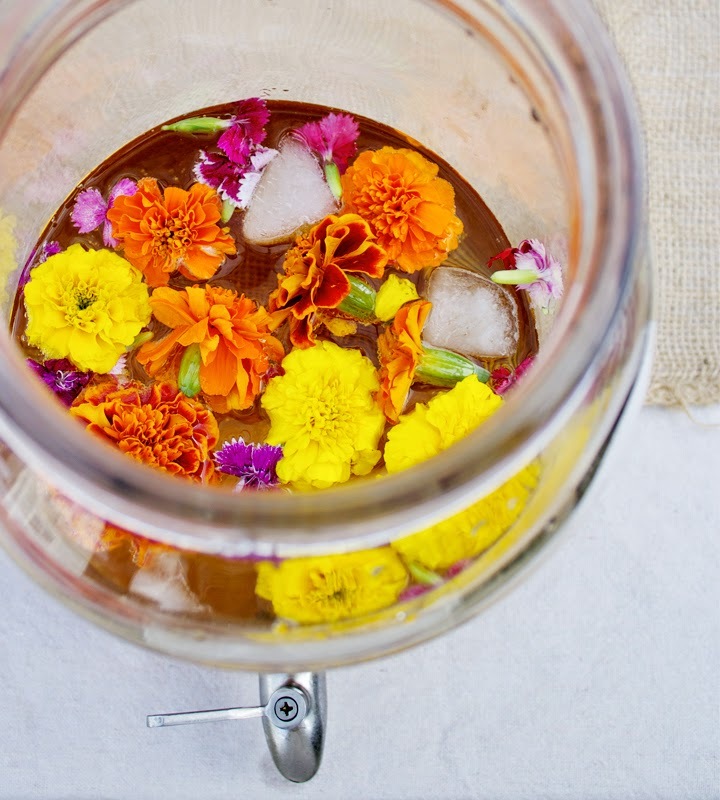 We went from asking ourselves "how on earth can we use edible flowers?" to "how on earth can't we use edible flowers?" When brainstorming a cocktail recipe to serve at this past weekend's Plant Potluck, naturally, our minds drifted to something floral. Sangria is at the top of my favorite warm weather beverages list and this summery sparkling version is a cinch to whip up. The edible flowers make for an interesting contrast to the fruity sweetness and are a fresh alternative to your typical apple wedges or orange slices. We topped off our glasses with a splash of Prosecco for a light and fizzy punch! See the full recipe below. 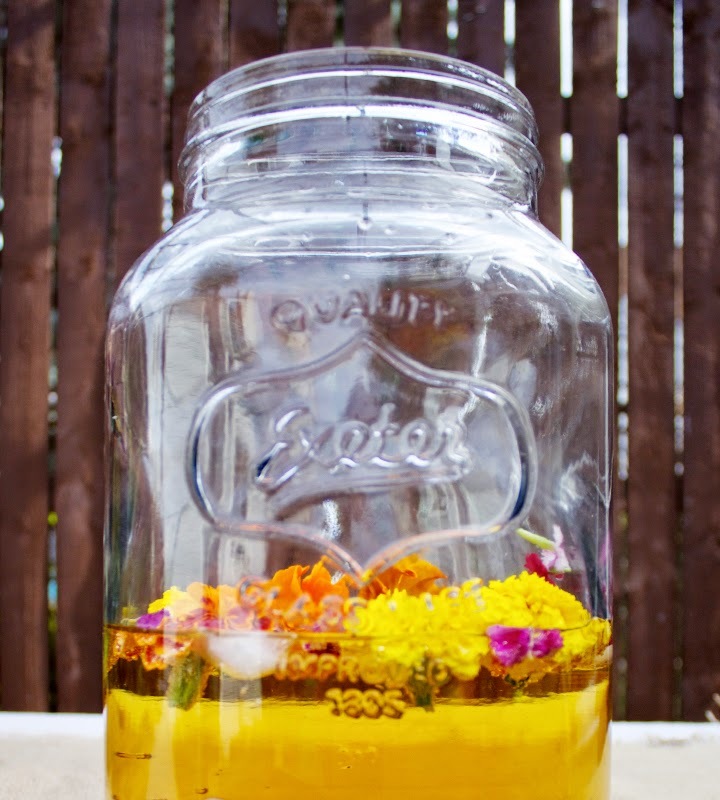 Combine honey, grape juice, mint leaves, and edible flowers. Cover with bottle of wine and chill sangria for several hours. To serve, fill glass half full with Prosecco and top off with Sangria. 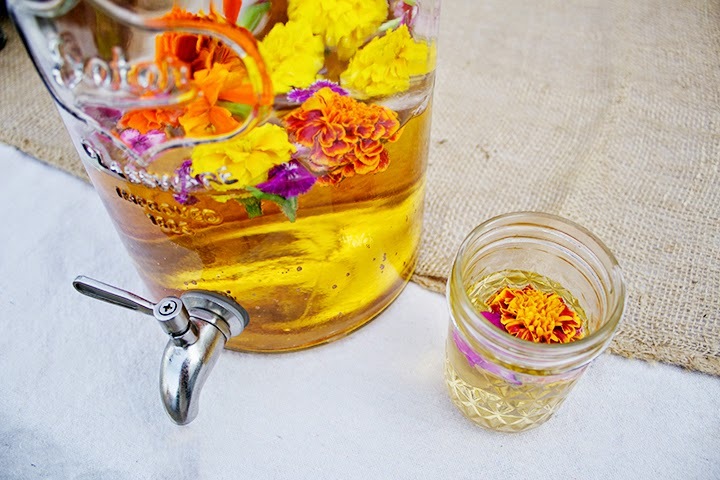 Spoon a few flowers in to each glass for extra loveliness! *Looking to really get the party started? Add three shots of Calvados (or another apple liquor) to the Sangria. This looks absolutely delicious! I definitely need to try this for summer!